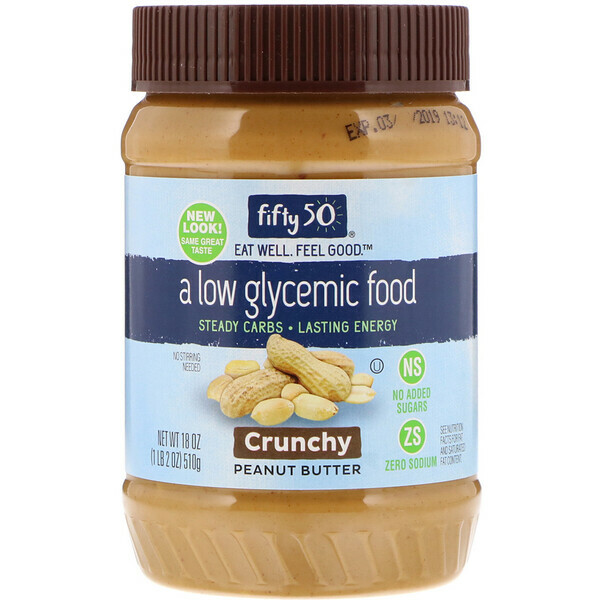 Going Low Glycemic is easy with Fifty50 Foods! 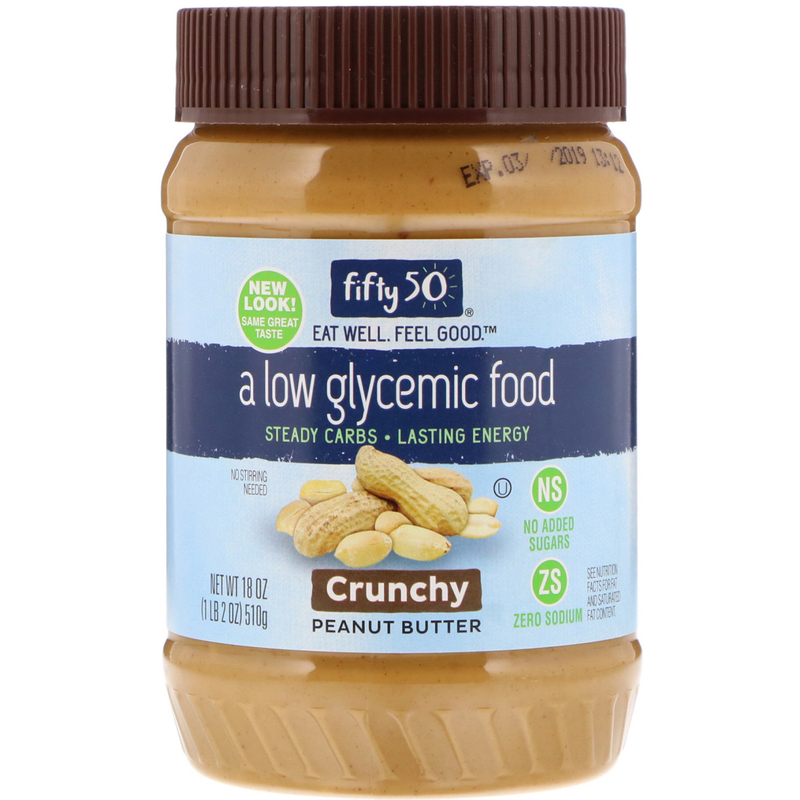 Since our products are certified Low Glycemic, they are digested slower and help stabilize your blood sugar. Peanuts, fully hydrogenated vegetable oils (cottonseed, soybean, rapeseed) to prevent separation. Not a low calorie food. 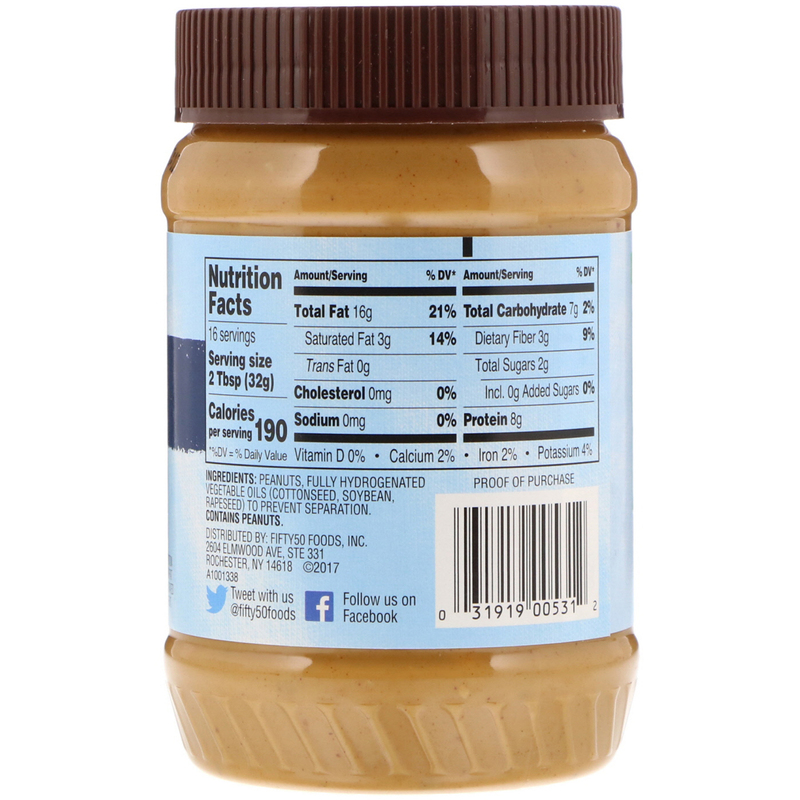 See nutritional information for fat, saturated fat, sugar and calorie content.